Tucked away on the southern side of the Isle of Wight, the Enchanted Manor has a reputation that precedes itself. 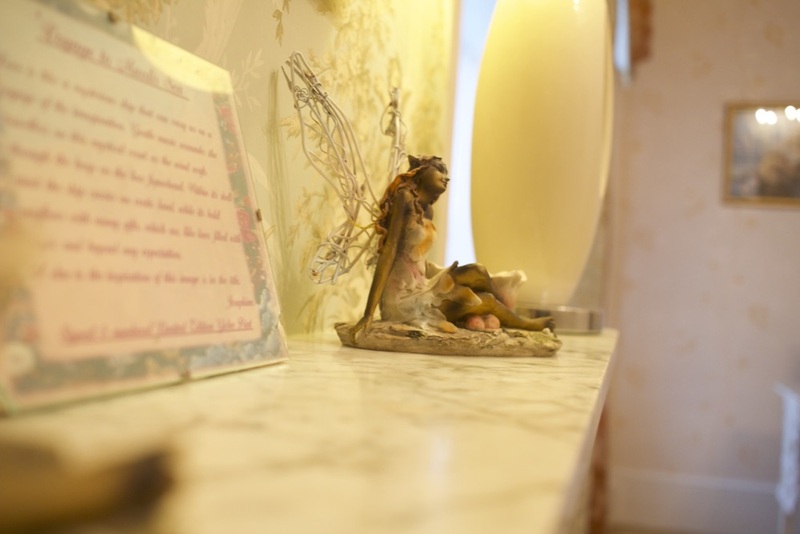 This Niton B&B has received a lot of curiosity over the years, both from those on the mainland, as well as the Islanders themselves, for its fantasy-themed reputation. The manor was built in 1836 and has been linked through its origins to people such as Robert The Bruce and Marconi. Fast forward to 2006, and it was transformed from a derelict Victorian manor house to the incredibly quirky B&B it is today. 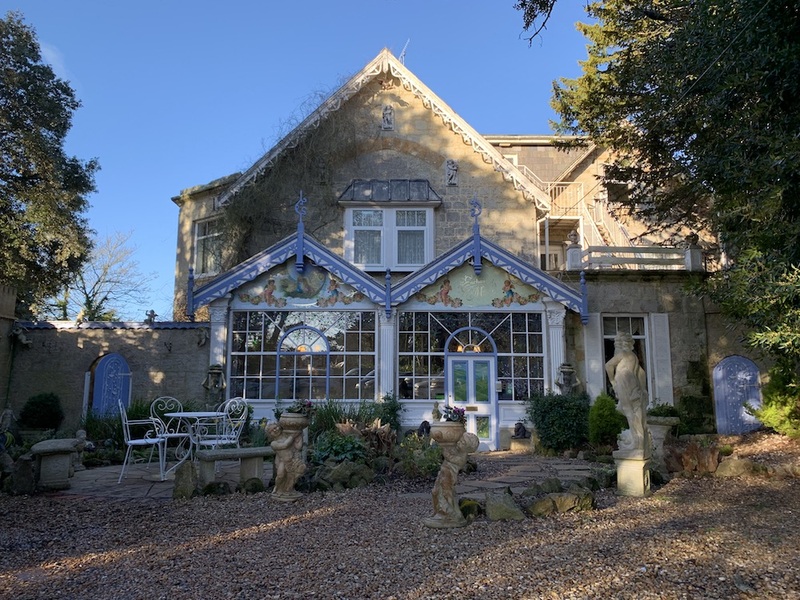 In 2018 the manor changed ownership and the new proprietors, Andy and Natasha, are ramping up the luxury and romance aspects of the 5* B&B – without sacrificing any of the wonderful quirkiness the manor has been famed for. 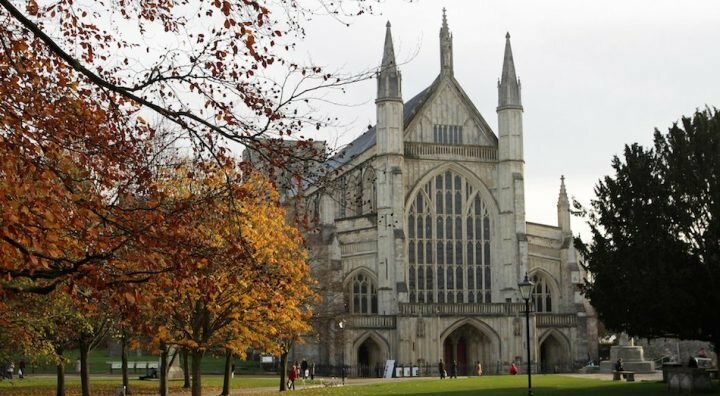 As we turned the corner into the driveway my first reaction was ‘WOW!’ – a statement that I repeated numerous times as I explored the building and all its sights. Everywhere you turn there is something to look at – mermaid lamps, cherubs painted on the ceiling, Grecian statues, grand fireplaces and Versailles-style soft-furnishings. The decor is quite simply… bonkers… but in a really good way. Once you become acclimatised to your surroundings you start to get an incredibly warm and homely vibe, with just a hint of magic in the air. 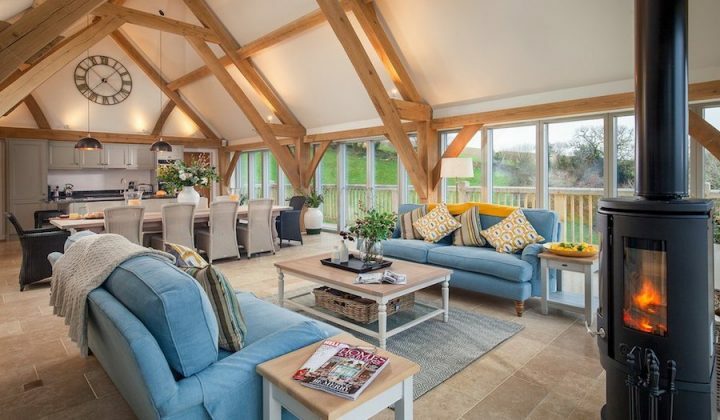 With scant mobile signal (don’t panic, they have pretty good Wi-Fi) and its rural location, you really feel whisked away from the outside world and able to concentrate on enjoying the company you are with. 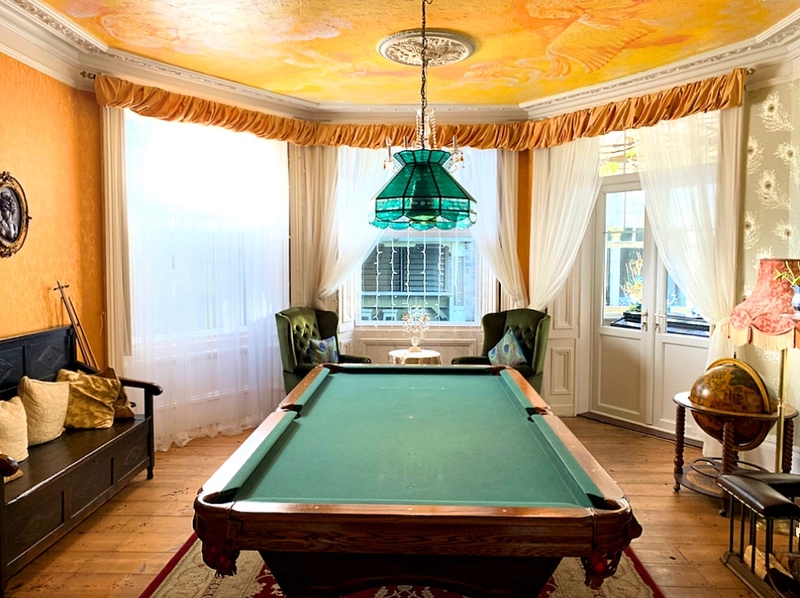 The B&B has its very own Victorian billiard room, where you and your significant other can challenge each other to a game of pool or snooker. And in the hallway, there’s an ‘honesty bar’ where guests can help themselves to drinks and write down what they’ve had to be added to their bill. 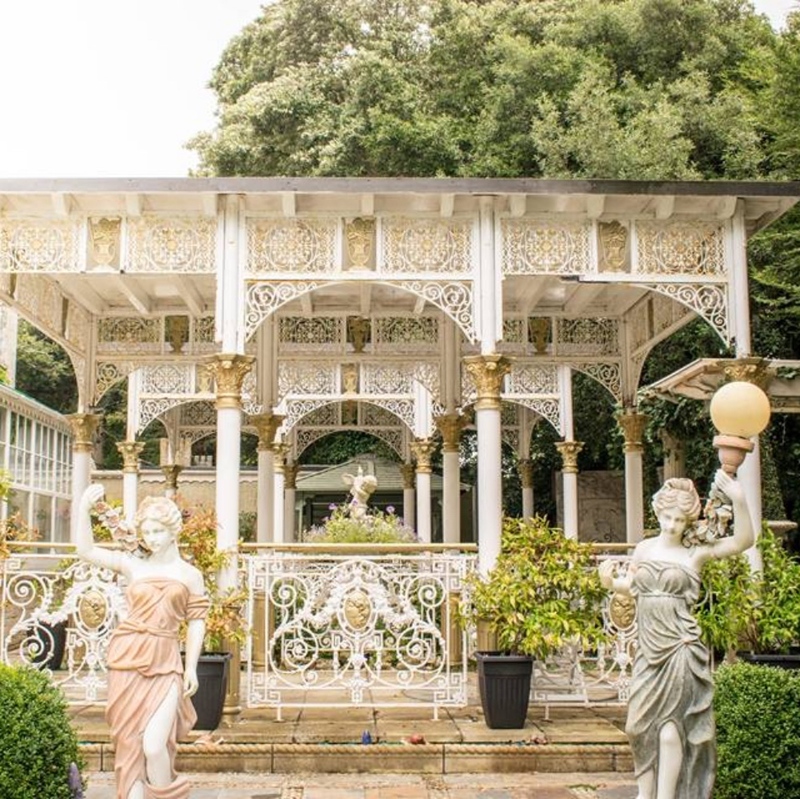 In the warmer months, the manor benefits from having its very own private garden, complete with pergolas, canopies and more statues galore. And, if you’re looking to really unwind, you can book into their spa which offers a simple range of treatments such as Indian Head Massage and Hot Stone Massage. 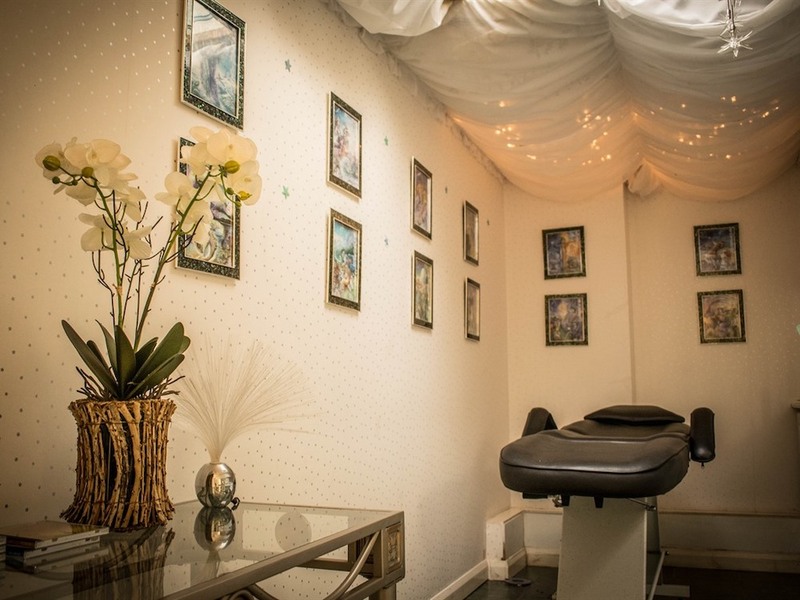 Treatments start from £49 per hour (though you need to book these in advance where possible). 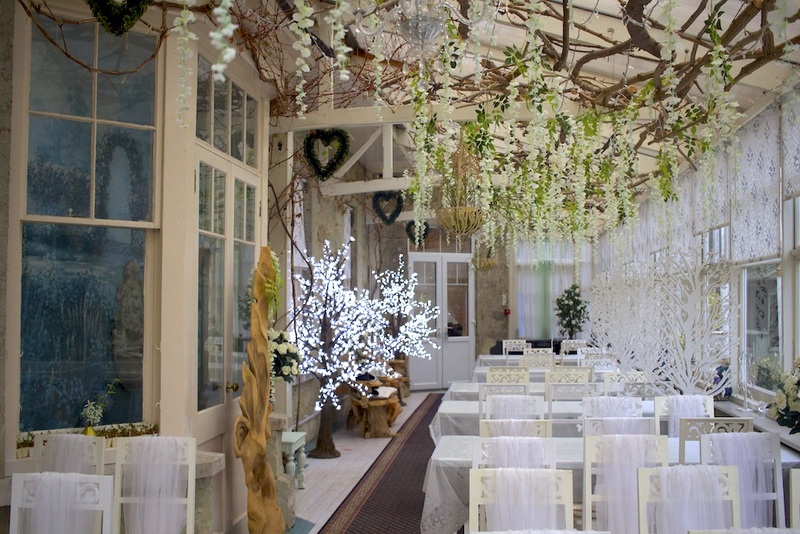 And, as you can imagine with a setting geared up for romance, weddings are a big part of the Enchanted Manor’s offering. It’s fully licensed for ceremonies and has all the little details that are perfect an intimate wedding and reception for up to 60 guests. The conservatory where ceremonies are held is festooned with flowers and fairy lights, letting lots of sun in on happy couples. The rooms and suites at the manor continue the eccentric theme throughout and our suite, Oberon, was certainly no exception. 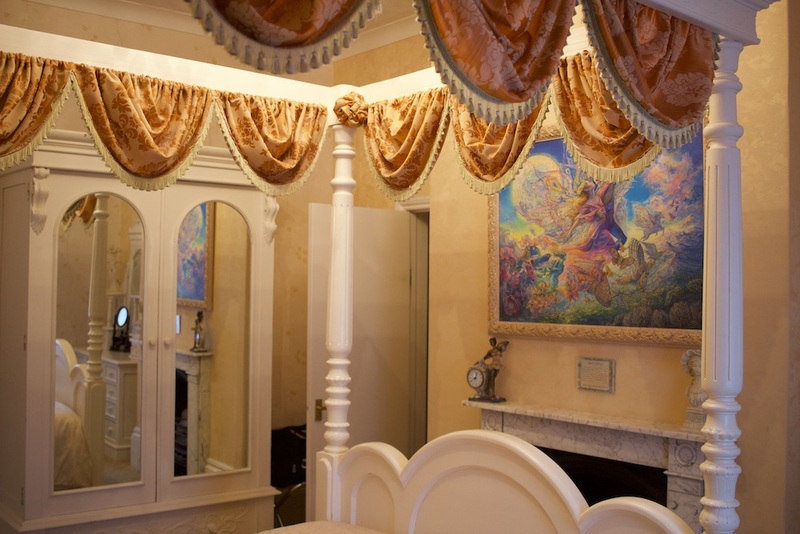 Coming complete with its own hand-crafted four-poster bed, cherub wallpaper and artwork from fantasy artist Josephine Wall, the room was unlike anywhere else I’ve ever stayed. As well as an en-suite bathroom (complete with fancy-pants jets in the shower), there was also a separate roll-top bath in its own little nook. 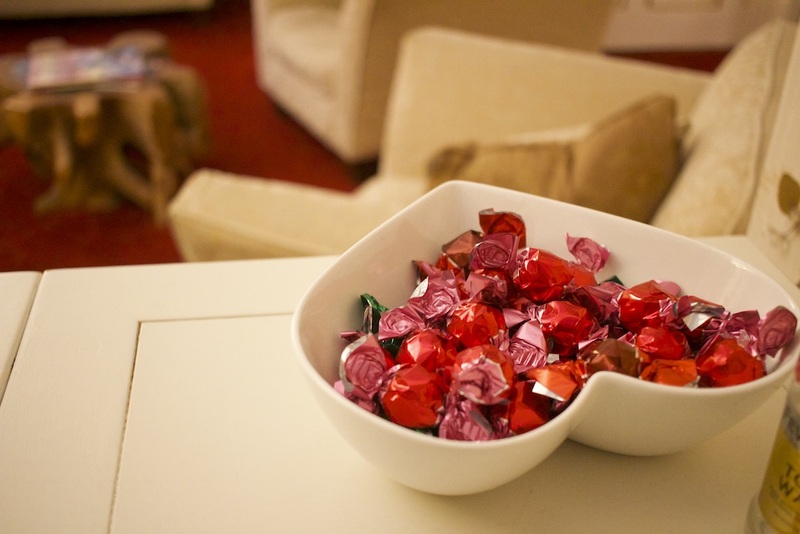 And for those who don’t fancy leaving the confines of the B&B itself, each suite comes with a TV (plus a huge stack of DVDs to pick from in the billiards room), record player and retro vinyl, fridge as well as tea and coffee making facilities. 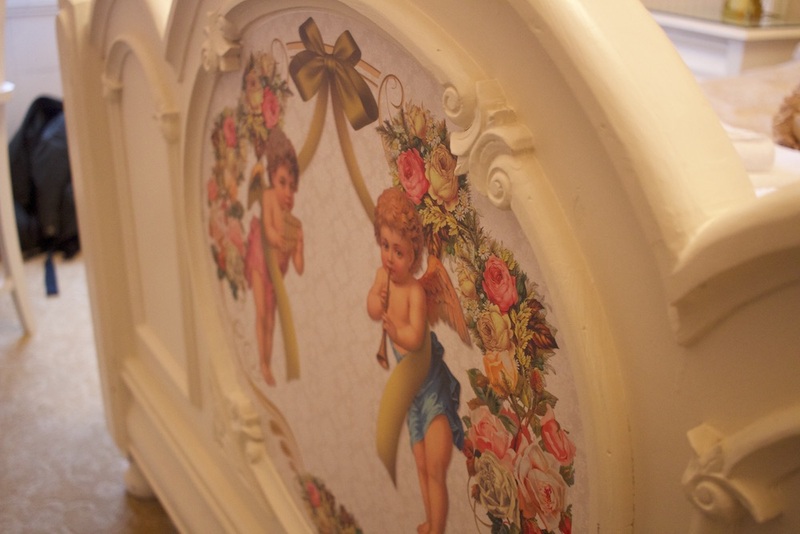 Sleep-wise, the bed itself was incredibly comfortable with big soft pillows and layers and layers of crisp white bedding under a chintzy comforter. It was also big enough to fit my 6 foot 3″ tall husband’s frame, which scored major brownie points from him. The room itself was quiet and calm, the B&B definitely benefitting from being off the beaten track, and lent itself to a very restful night’s sleep. 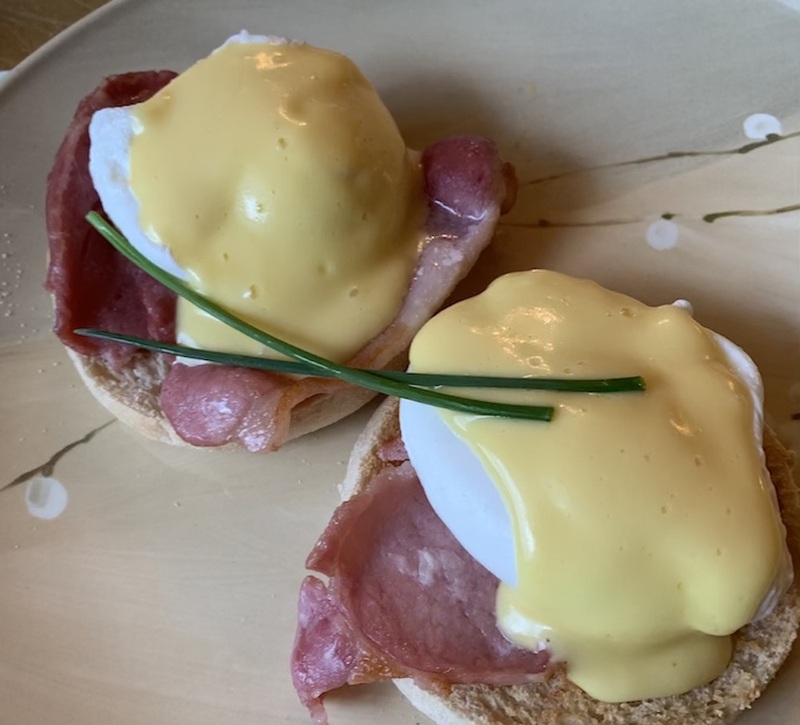 There isn’t a restaurant here so you’ll have to seek out a spot for dinner elsewhere (I personally really rate The Buddle Inn just around the corner), but they do however serve an award-winning continental and cooked breakfast in the morning. With pastries galore and an abundance of cereals to start with, for the cooked breakfast you can choose from your typical Full English, as well things such as Eggs Benedict or Royale – each one with produce coming straight from the Island. I opted for the Eggs Benedict which was the just the right portion and the poached eggs were cooked beautifully. Coffee also comes in its own cafetière which, for me, who needs at least three cups before I can function, was a BIG hit and I was able to mainline enough caffeine to wake me right up. If you can pull yourself away from the manor, there are some amazing spots to explore nearby. Just a few steps around the corner from the manor is a road that leads down to the shoreline. Here stands the incredibly beautiful St Catherine’s Lighthouse and Knowle Farm. The lighthouse has been in existence since medieval times and is interwoven with the Island’s history of smuggling. If you jump in the car and head towards the west of the Island, you will come across Military Road. This stretch of road runs from Chale (just past Blackgang) to Freshwater and is absolutely breathtaking. 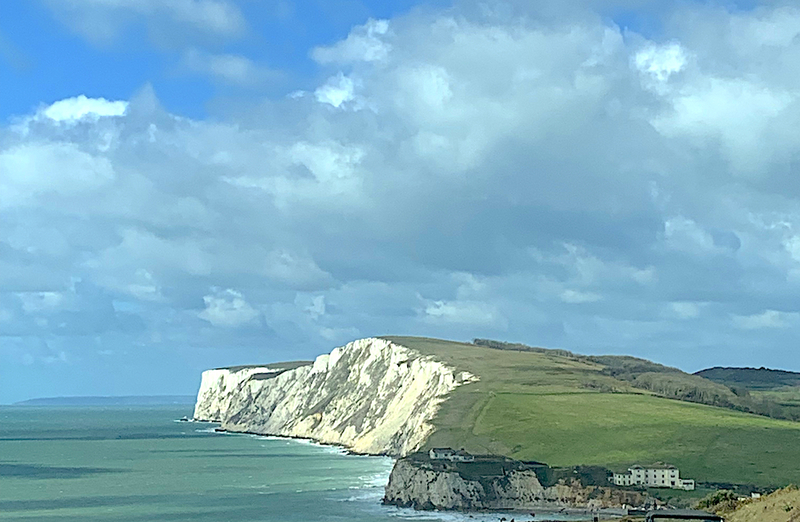 With cliffs and the open water of the English Channel on one side, and rolling greenery and the odd ancient building to the other, this road is a place worth visiting in itself. Good for: Romantic couples who need a getaway. This spot is tucked away and as far from the world as you can get – without needing to go too far. 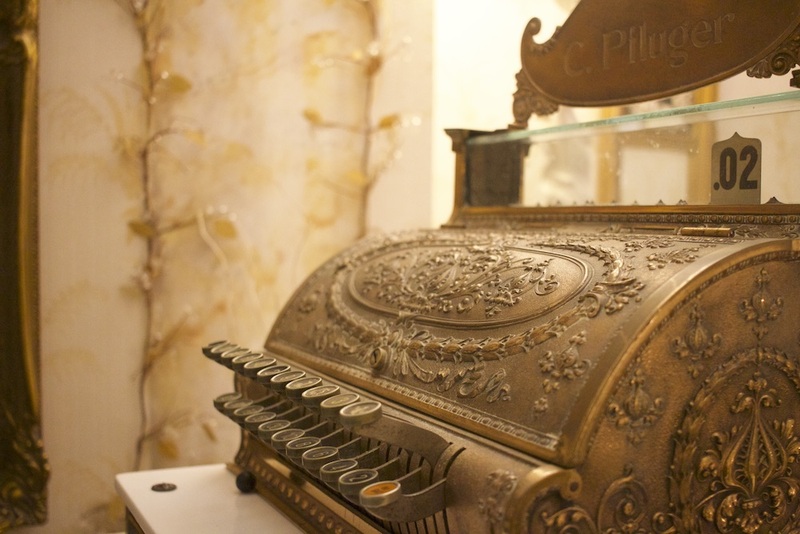 Also, if you’re a fan of super quirky boutique spots you’ll absolutely love it. 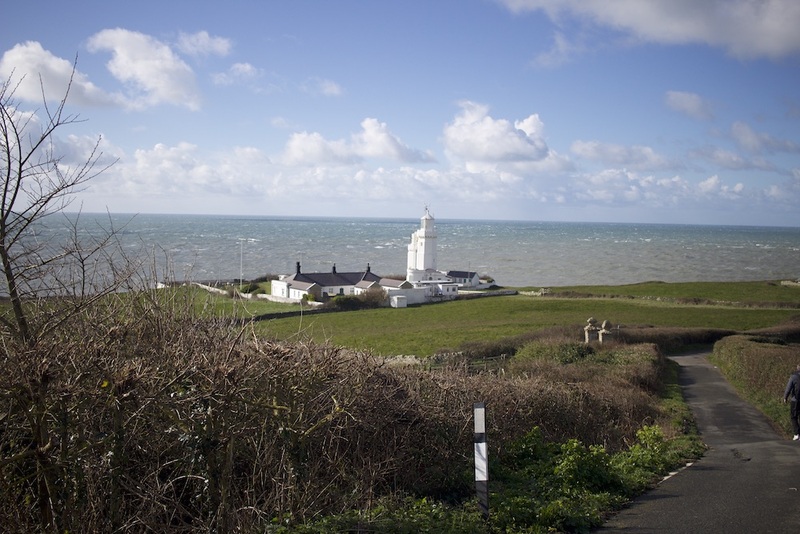 It’s a particularly great place to explore the Island from, slightly away from the more touristy spots such as Ryde, Shanklin and Sandown (though all are just a short distance away). Not for: Those who prefer a sleek minimalist approach. 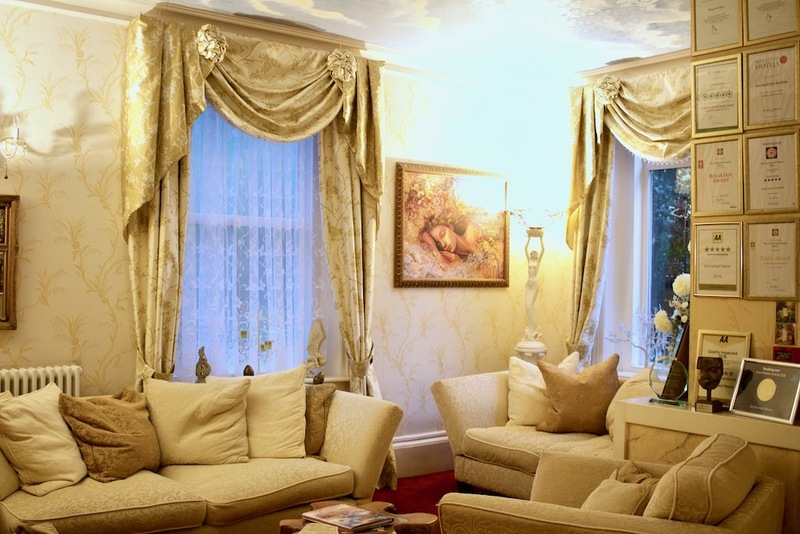 The decor is one of the reasons that makes this place so great, as it’s quite simply, unlike anywhere else. Each room only sleeps two people as well, so this isn’t the spot for a four-person family holiday. 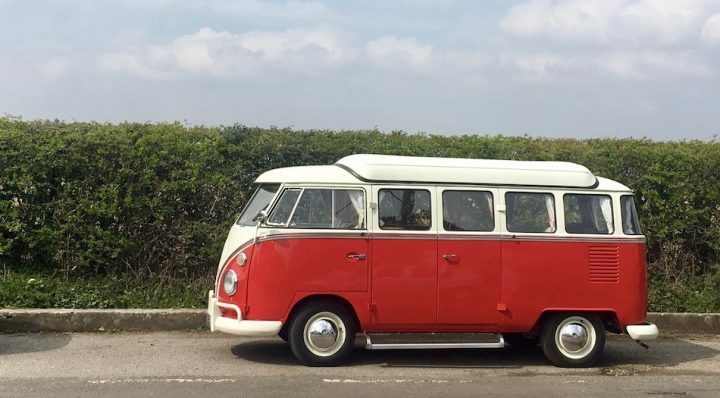 And, it’s definitely worth noting you will need to take your car, as the public transport to Niton can be a bit sparse (there are 5 buses a day from Newport and only three on a Sunday). The damage: With a classic double costing £130 a night and a deluxe-suite costing £189 per night, it’s incredibly good value for the 5* service. They also have special offers during the quieter months and if you contact them when booking, they offer year-round ferry discounts too.